On November 18, one year after Angela entered Sanctuary at West Kensington Ministry, we held a prayer service event to commemorate this historic date. Despite a terrible rainstorm, over 100 immigrants and allies come to West Kensington for prayer, testimonies from other immigrant members, song, food, and a video compilation from other immigrant leaders who took Sanctuary across the country. As a diverse community, we re-committed ourselves to the continued fight for all immigrant families. 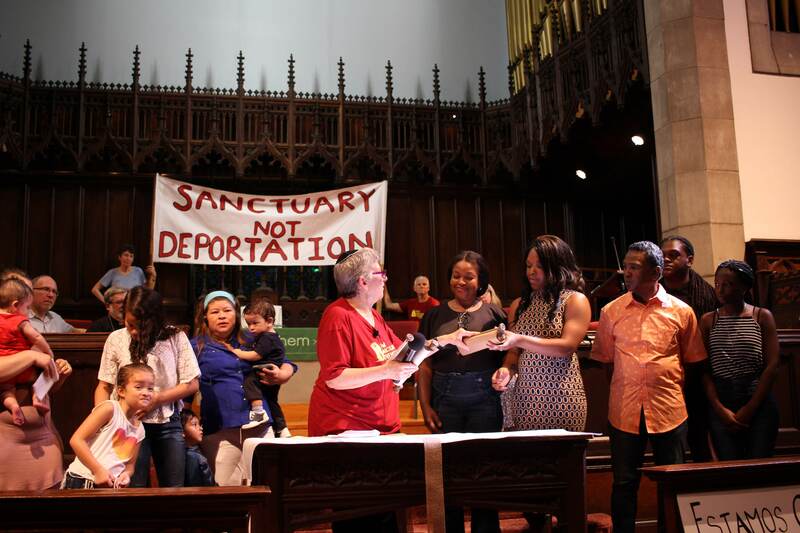 105 Organzations Demand: Nutter, hands off the ICE Hold policy!Call in day: Demand Mayor Nutter maintain anti-deportation order!